The laser miniature light-barriers of the M-LAS series primarily are characterised by their extremely compact design, these laser light barrier types should be among the smallest all over the world. 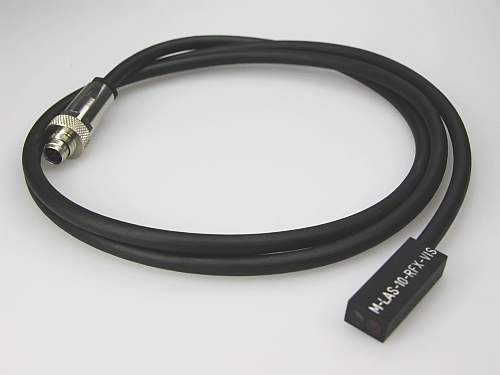 Due to the low beam divergence the transmitter/receiver distance typically may be up to 2 m.
The lasers of the M-LAS series are classified as laser class 1. Because of its compact design, the M-LAS Series find application where little space is available on the one hand, and a small light spot (parallel or focused) is required on the other hand. The light barriers of M-LAS series are ideally suited for detecting extremely small parts and for positioning of objects.